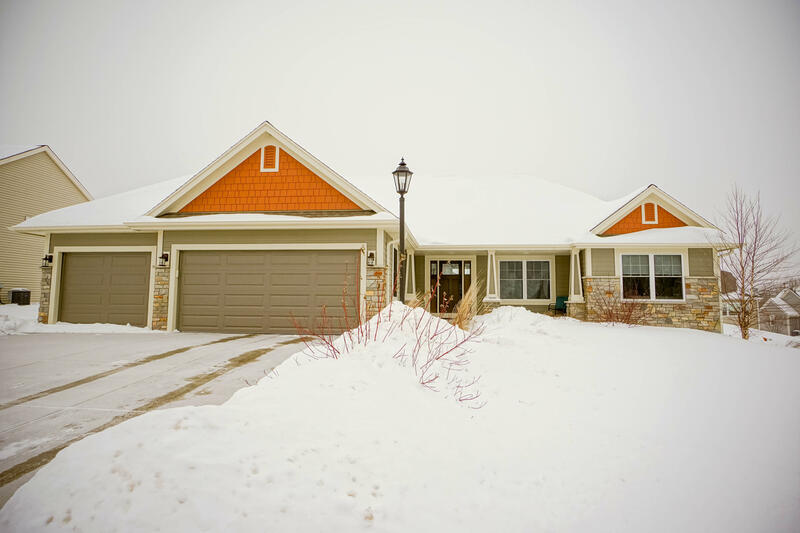 Remarkable 3BR split ranch home in Waukesha's Howell Oaks! This former model home by Wolter Brothers Builders is loaded with upgrades and exceptional design features. Open concept great room with gas fireplace. Kitchen has granite countertops, hickory floors, SS appliances included, pantry, and adjoining dining area. French doors to den-office. Luxury master suite boasts tray ceiling, dual closets, and master bath with tile floor, dual sink vanity, and oversized custom tile shower. Main level laundry with washer and dryer included. Huge lower level is ready to finish with high ceilings and full size windows. 3+ car garage. Very conveniently located!